Photo from Sandy at The Reluctant Entertainer. The trip mentioned in this post was sponsored by Harry & David. All opinions are my own. 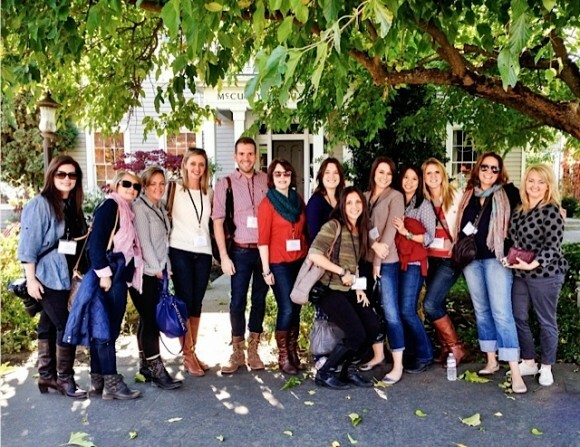 This Fall I had the fun privilege of attending a blogger event in Southern Oregon sponsored by Harry & David. Being a “home blogger” I don’t often get to go on “foodie type” events. In fact, I had never been to one, heheh. I wasn’t sure what to expect but it.was.amazing. My friend Sandy from Reluctant Entertainer invited us to her home for dinner. The meal was SO good, and the company and setting was as lovely as I imagined after all these years of knowing Sandy. Her home and style is so gracious and warm, it was a treat to be invited. Honestly I could barely carry on a conversation with anyone because I was so mesmerized by all the beauty in her backyard and on the table. 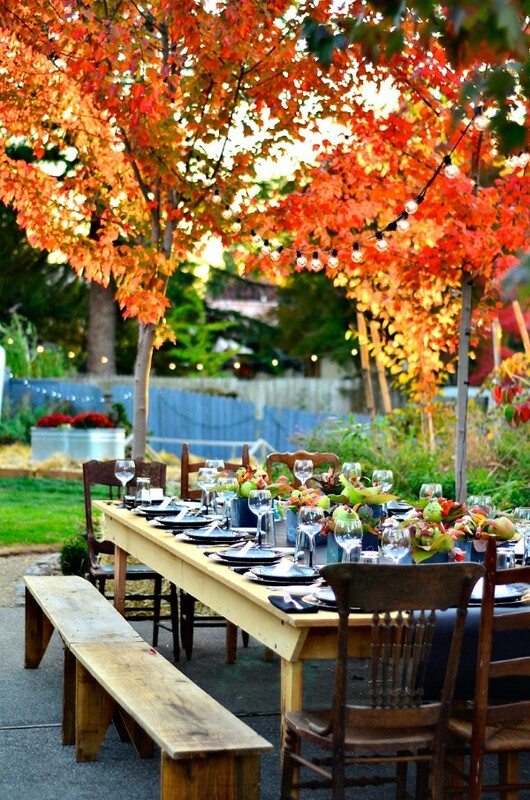 Every detail was delightful, right down to the sweet chalkboard and pear centerpieces! Can you find me right there in the middle of all those awesome food bloggers, looking like I belong? They were all so nice and I consider them my new friends. 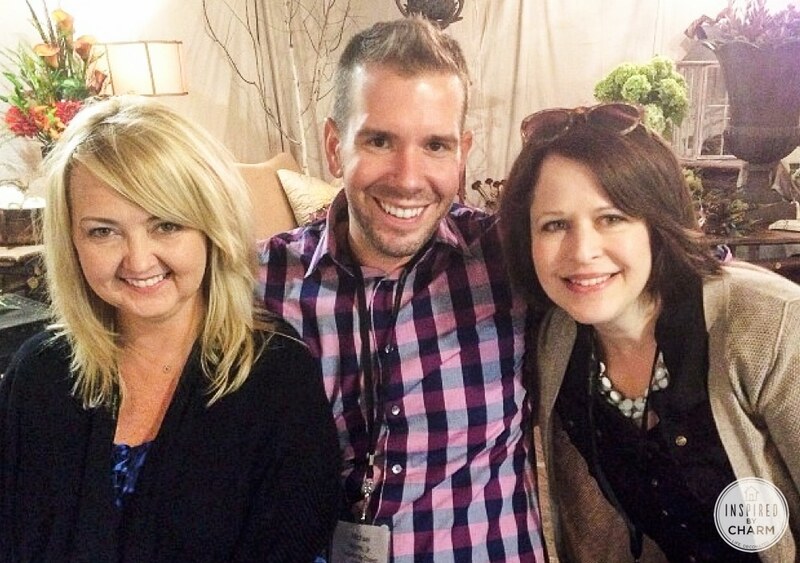 I am even a fan of food blogs now, because they are written by really cool people! If you want to find out more about them and follow their food adventures, I’ll put a link to them all at the bottom of the post. Honestly, it was one of the most fun trips I have been on! My husband got to go with me and we enjoyed a few days in the southern Oregon sun. The weather was perfect and gorgeous! We fell in love with the little town we stayed in called Ashland, which is famous for Shakespearean festivals. My husband and I had wanted to go there for years! Even though we had lived in Portland (just a few hours away) most of our lives, we had never been to Ashland until this trip. I will have to do an “out to sea” Ashland post at some point because it was a fun little town and I have more pictures to share! If you ever have a chance for a getaway with friends or romantic weekend with your spouse, I would highly recommend Ashland! 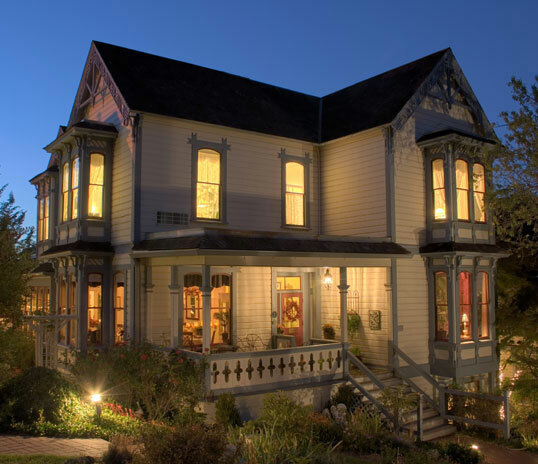 Look at this adorable little bed & breakfast where we stayed, the Winchester Inn. It was not only cuuuuuteeee, but THE BREAKFAST every morning was incredible. Everywhere we went on this trip the food was amazing. One of my favorite excursions was to Penny & Lulu’s Florist Studio in Medford. The two spunky owners set up an amazing space for lunch. 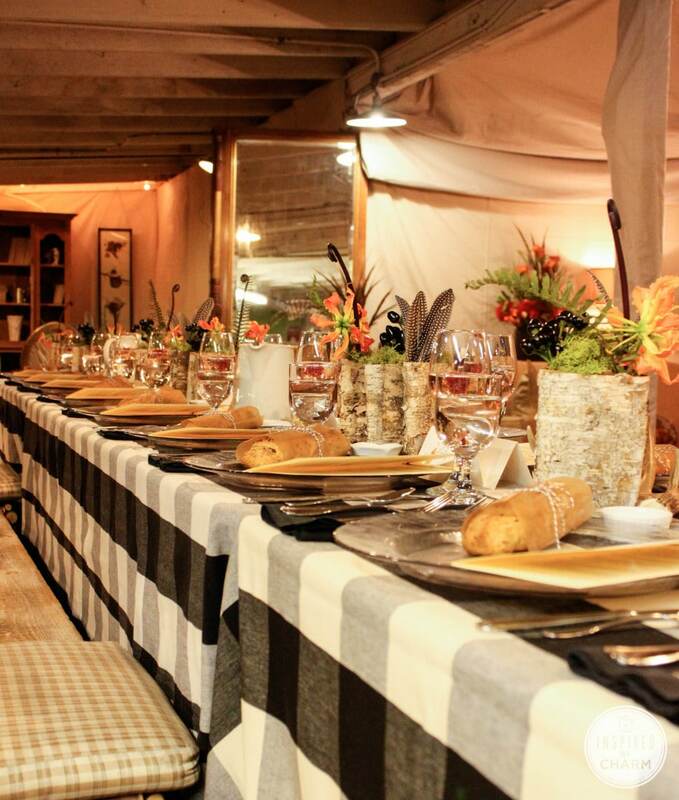 We had so much fun checking out the props as well as all the food and centerpiece artistry on the table! It was beautiful. (I stole a few pics from Michael and Sandy because I got a new computer and can’t figure out how to find all my pictures edited and moved over yet). Harry & David is best known for its signature product (and one of my favorite Christmas gifts! 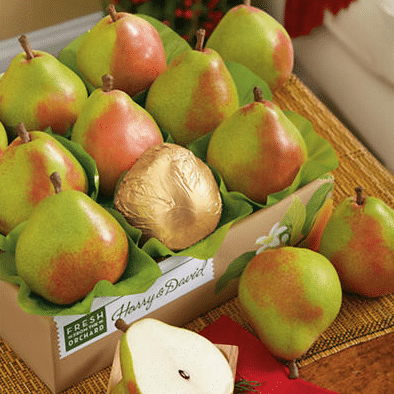 ), Royal Riviera® Pears, which require special climate and soil found in only a few places in the world. We enjoyed a tour of their beautiful orchard and learned all that goes into growing the perfect pears! No wonder they are SO GOOD! We had so much fun on a tour of their facility. 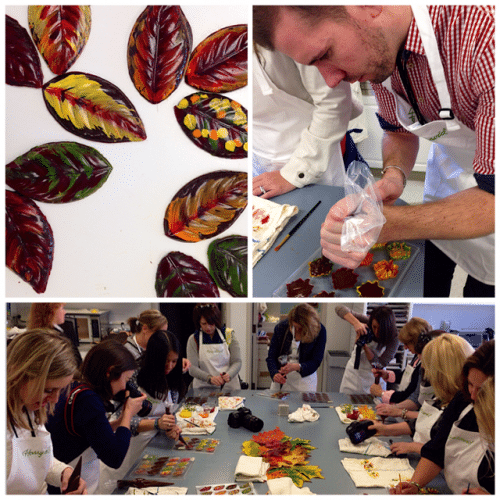 We even went to the Harry & David chocolate factory to paint pretty chocolate leaves. And they even had their very own Charlie at the H&D Chocolate Factory to teach us, heheh. 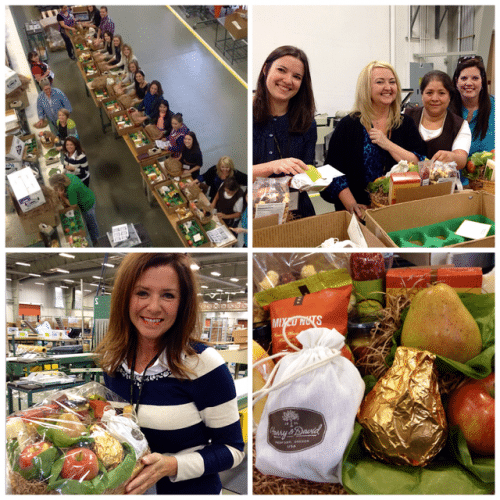 One of the really fun things we were able to do while at the Harry & David facility was to package a gift basket, make a bow and send the basket off to someone! The Harry & David gift baskets have been a favorite of mine for years. 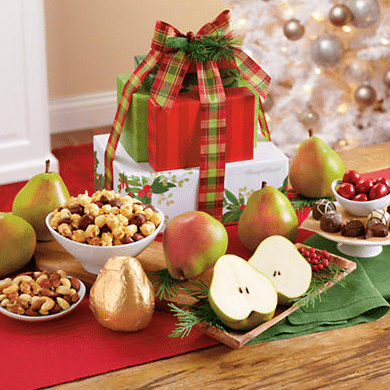 My grandparents sent us a basket of pears or the Tower of Treats every year for Christmas and we loved it so much that we have carried on the tradition. It’s a gift everyone loves! Our trip was so much fun and I am so grateful to Harry & David for including me (and my husband!) in on the experience. Truly, I felt blessed to be a part of it. It was an amazing trip! You can order delicious and wonderful gifts directly from Harry & David on their website and they can still arrive in time for Christmas, even with FREE SHIPPING (restrictions may apply) if you order TODAY December 18th so be sure and check it out! Find Harry & David on social media via Facebook, Twitter, Instagram, and Pinterest. They also have a new blog so be sure and pay a visit! Bloggers: Helen Jane from HelenJane.com, Shelly from Cookies & Cups, Michael from Inspired by Charm, Melissa from The Inspired Room, Judy of From Home to Roam, Angie from Bakerella, Sandy from The Reluctant Entertainer, Cassie from Bake Your Day, Gina from Skinnytaste, Ali from Gimme Some Oven, Julie from The Little Kitchen, Robyn from Add A Pinch, Lindsay from Love and Olive Oil, and Amanda from Kevin and Amanda. How cool to be invited to something like that! Wow! Looks like an amazing time and fantastic company. Nice to see So Oregon get some love! I lived in Portland for years without ever visiting. My husband recently accepted a job offer here and we made the jump. We live in Jacksonville now (north of ashland, home to the McCully house you and your friends are standing in front of) and just love it. Now I have to go look at your pictures again! 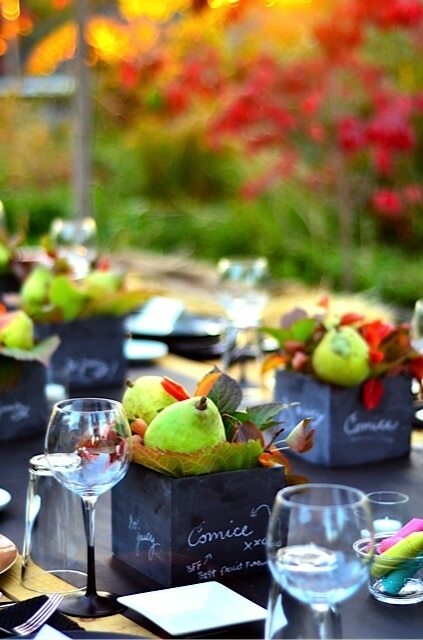 Those chalkboard boxes with pears and greenery are so cute! Loved the time with you and Jerry, here, Melissa. Thanks for a beautiful recap! It was so good to see you again, Melissa! I loved Ashland and seeing the Harry & David facility and orchards so much!